March 15-16, 2019 Conference on “Recent Advancements in Biochemical Engineering and Biotechnology [RABEB-2019. 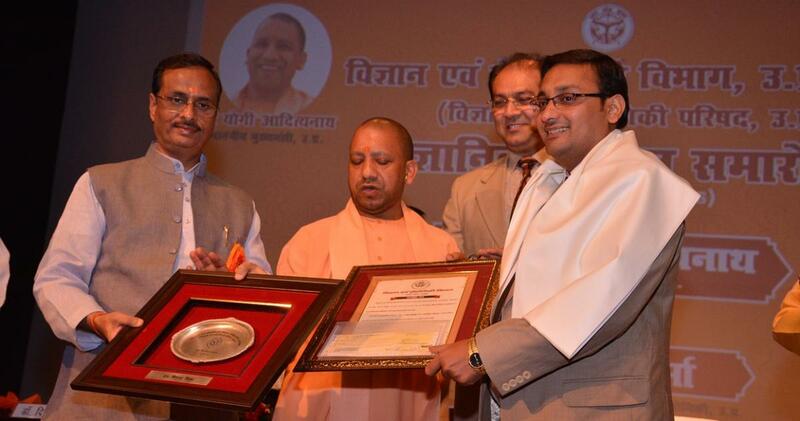 Dr. Vishal Mishra, Assistant Professor in the School of Biochemical Engineering has been awarded Young scientist award by CST UP for the year 2015-2016. Technology on “low cost indigenous segregator for separation of seeds and food grains” (patent application no. 201911000354). Technology on “Indigenous hoppers for free flow of seeds and granules in food, pharmaceutical and agriculture industry” (patent application no.201811049831 ) transferred to Innovative Machinery Agro India Pvt Limited by Dr. Vishal Mishra. © 2018-19 | Indian Institute of Technology (BHU), Varanasi. All Rights Reserved. Reach Us All Faculty B.H.U.